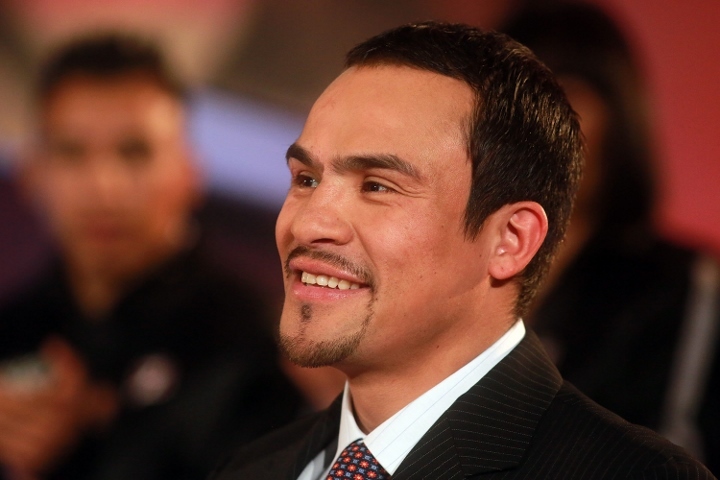 Juan Manuel Marquez has been vocal about his funds having been mismanaged by JP Morgan Chase. Being a four time world champion in boxing, it is hard to ignore what Juan has to say. He has recently filed a complaint against JP Morgan Chase & Co in the Los Angeles Superior Court. The complaint is regarding 2.3 million dollars that he feels has been fraudulently gotten from him as tax refunds and fake accounts have been opened at the Chase Bank’s Whittier branch. The complaint that he has made is regarding a father-son duo who have stolen about 2.3 million from him in the form of tax refunds and they accomplished this with the US bank by setting up fraudulent accounts at a local branch of the bank. The professional boxer spoke about this week at a press conference that he held across the Chase Bank branch in Philadelphia. He has sued the bank along with Adel and Heber Cotton with allegations that the bank had conspired with the duo to launder his money which was obtained in the form of tax returns. The money had been his hard earned income from the fights he had in the US. The complaint that he has filed through his lawyers was on March 24th. The Cottons are already serving sentences for other tax frauds they have committed. His attorney stated that this was something that he did not expect to happen in a country like US. It is his hard earned money; he feels that the bank failed to comply with the regulations that should ensure that accounts cannot be opened without the main owner not being present. The bank on their behalf, have not given any comment and hence, it seems that there would be a lot at stake, both for their reputation as well as the reliability in the country as well as in others where they have a high brand presence.